Welcome to our weekly feature, Transfer Time Tunnel. 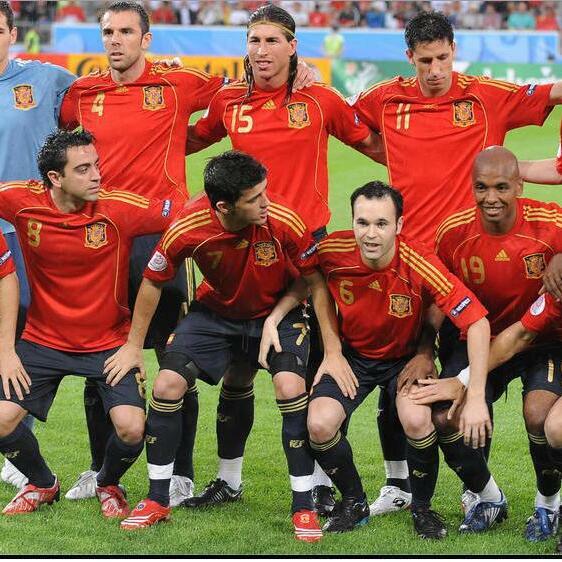 This week's team is Spain's 2008 European Championship team. This team was a joy to watch, they would pass teams to death but had the clinical finishers including Torres & Villa to bag them the wins. This was a true footballing team and a squad that changed the face of modern football. What happens on the feature is Alex goes through the 1-11 and works out each individual players age at the time of that particular match or season. Then I work out how much every player at that age would be worth in 2017's mad modern transfer market. I then create the team's total transfer price and see how it compares to other historic football teams. If you like this feature scroll down the podcast's history and you'll find plenty more TTT for your football ears. Follow us on Twitter: @thefootballhour If you managed to do all 3 of these things drop @thefootballhour a DM and I'll name drop you on one of our podcasts. TTT - S1:EP1 - "It's Like Watching Brazil"